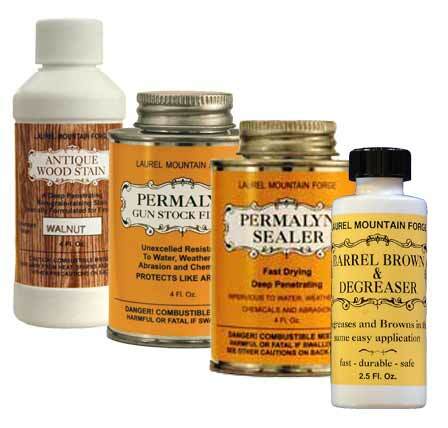 Antique Wood Stain Reducer - 8 oz. Rust Bluing/Browning solution in economical quart container. Bore Lube - 8 oz. Bore Lube is a blend of lubricants, corrosion inhibitors, and moisture-displacing agents that also aids in loading and improves accuracy. Bore Solv - 8 oz. Permalyn Gun Stock Finish - 4 oz. Permalyn Sealer - 4 oz.